Punjabi Legends thrashed Maratha Arabians by 43 runs and in the process became the first team to bowl the opposition out in T10 league. Maratha Arabians couldn’t get going after a good start and succumbed to the pressure of chasing a big total. Zahir khan, who was adjudged man of the match, and Jordan were the pick of the bowlers for Punjabi Legends picking up 3 and 4 wickets respectively. Pakthtoons take on Rajputs in the first match of T10 League on Friday. Rajputs created history by chasing down 95 in just four overs in their previous match. Pakhtoons on the other hand, lost their first match and will be looking to pick up their first win of T10 league 2018. In order to achieve it, they will have to stop the batting line up consisting of Mohammed Shahzad, Brendon Mccullum, Rilee Rossouw, etc who have been in very good form. For Rajputs, Munaf Patel and Carlos Brathwaite were excellent in the last game and they will be hoping that they continue the good form to restrict Pakhtoons from getting a big score. Here is the expected line up for today’s game. 1. 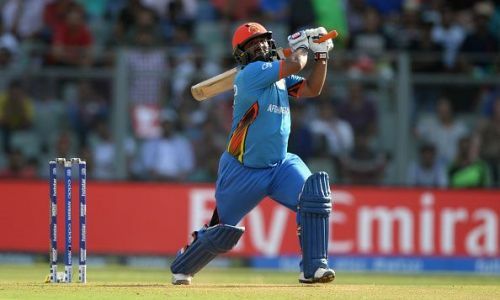 Mohammad Shahzad – Not a hard pick to those who watched the first game. When he is in that mood, he is hard to stop and he looks in great touch too. Good luck!